Creating custom metal window frames for a 55′ sailboat is a great testament to the ingenuity of the Dolfab team, and it gives us a chance to show you some of our equipment in action. These custom- made window frames require the use of our Waterjet cutter and a special router table that was created and assembled by our team specifically for this purpose. This isn’t the first time we get creative with projects, and we know that it won’t be the last. 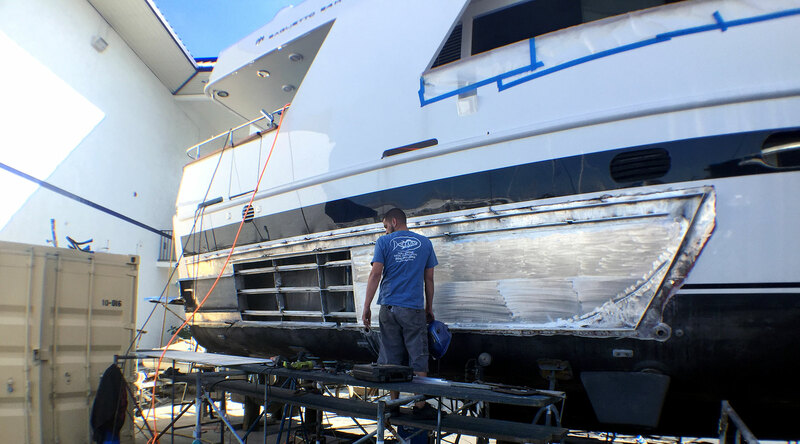 Every metal fabrication project, yacht refit, and repair or custom project is unique, and we see new situations all the time. We draw from our collective experience in metal fabrication, which is quite extensive, to come up with innovative solutions to each new challenge. We’re scheduled to complete this project over the next couple of weeks and will be posting updates to our Facebook page. Go to our YouTube channel to see all our videos and subscribe for project updates.